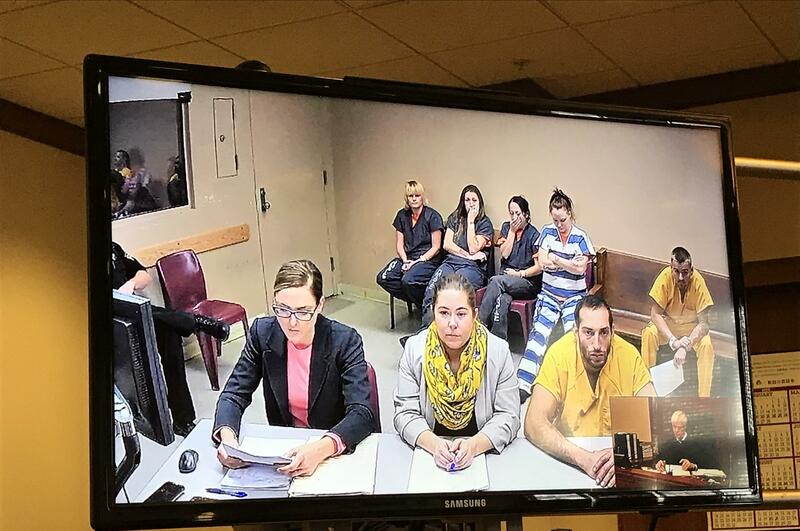 UPDATED: Thu., Nov. 8, 2018, 10:55 p.m.
A man suspected of smashing at least one public art sculpture with a stick in downtown Spokane had bond set at $20,000 on Thursday. Vonnelliott K. Mitchell, 28, with his defense lawyer present in court, reserved argument on bail and instead agreed to release conditions set by the state. He’s facing a charge of second-degree malicious mischief, felony drug possession and resisting arrest. He has previous warrants in Spokane Municipal Court. Police say Mitchell used a stick to smash a fiberglass sculpture Wednesday afternoon on Main Avenue. A witness reportedly took pictures of the incident and provided the evidence to police, who arrested Mitchell some time later. The painted heart sculpture was part of a Ronald McDonald House fundraiser installed late last month to raise funds for the organization. It was the fourth sculpture to be defaced in two weeks. On Tuesday, business owners discovered two of the hearts had been tipped over and broke when they hit the ground. Each one cost about $1,800, court records say, though they were insured for $5,000 apiece to cover cost of breakage and any damage to the surrounding area. They’re set to remain downtown until the end of February. Published: Nov. 8, 2018, 3:49 p.m. Updated: Nov. 8, 2018, 10:55 p.m.